For start-ups, entrepreneurs, small businesses and manufacturers’ reps, we can provide warehouse space, manpower and any other resource that would otherwise consume capital needed for inventory. We can provide “TURN-KEY” solutions for your business that would otherwise drain those capital resources. Your time is a valuable resource as well. Allow ASD to take care of the logistics details in order to maximize that productive time. We know where to go for the supplies to accomplish any task. Our facilities have “rubber walls” that expand or contract to perfectly match your warehousing needs right down to a daily level. Manpower requirements are handled the same way. If your peak load business requires two people for a few days and half a person for the balance of the week, we can match your requirements exactly by moving our personnel into and out of servicing your business. You pay only for the time and effort expended directly on your business. If the work slows down, your labor expenditures track it exactly. This takes the guesswork completely out of questions such as, “how much space will be required to properly service my business?”, or “how many people do I need to hire?”. We specialize in handling these problems for you. ASD Logistics has a very experienced and well trained staff to take care of your needs. 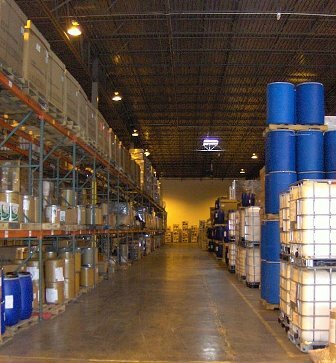 We utilize and maintain a wide variety of material handling equipment allowing us to efficiently handle your products. Combine that with a state of the art Warehouse Management System (WMS) and you have a top tier logistics provider. ASD has all the tools you need to operate and manage your business successfully. Take advantage of our experience, better utilize your resources and find out what separates us from other 3PL’s.